Cook brown rice ahead of time and let cool. You can also use leftover rice. Preheat oven to 400 degrees. Halve peppers lengthwise through the stems leaving them attached. Remove seeds. Brush peppers lightly with olive oil or spray with olive oil spray. Sprinkle inside of peppers with sea salt and pepper. In a large bowl take cooked brown rice, kale, carrots, mushrooms, tomatoes, garlic, and onions mixing together. Sprinkle with sea salt, pepper, one tablespoon olive oil, and one tablespoon lemon juice and 1/2 cup purified water. Mix again until evenly distributed. Take filling and spoon into pepper halves, pressing down to fill them up. Peppers should be overflowing. Use spoon upside down to pack in tight. Sprinkle top with sunflower seeds. 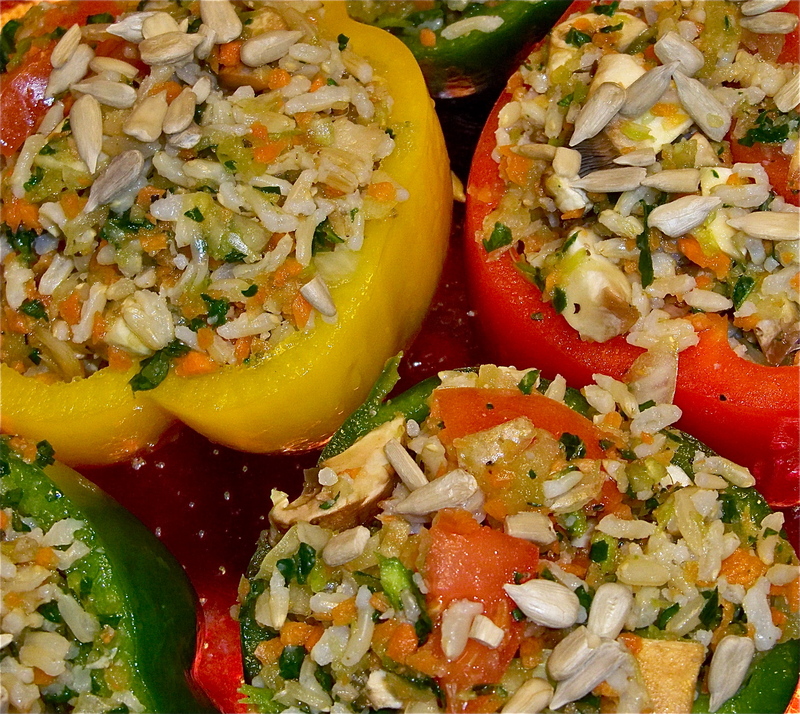 In a large baking dish take filled peppers and align together so that they sit upright. Add 2 tablespoons purified water to bottom of baking dish. Depending on the size of your peppers you may have leftover filling you can put it around the peppers on bottom of dish and bake it with peppers. Cover peppers with foil or lid and bake for 30 minutes. Uncover and bake for 5 additional minutes. Serve hot. Top with nutritional yeast for vegetarian version or parmesan cheese for non vegan vegetarian version. Yum! 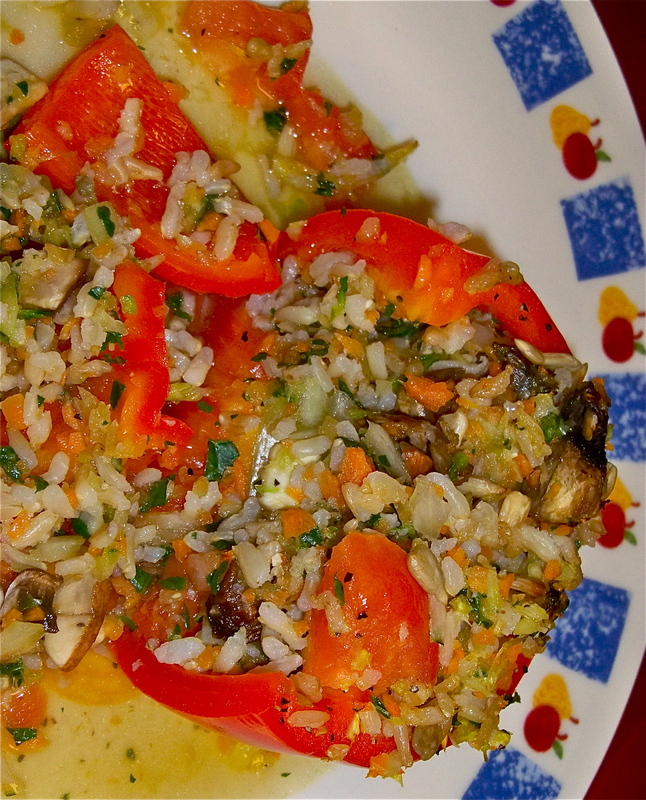 A veggie twist on stuffed peppers. Right on!